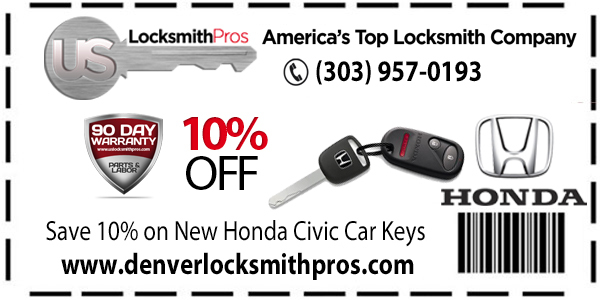 Check Out Our 10% Savings On All Honda Civic Key Replacements! 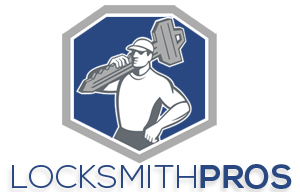 If you don’t have a back-up or replacement key for your car then here at US Locksmith Pros we can help you get a new set of keys and driving in no time at all! We offer professional services which are easy, affordable car key replacments for Honda Civics anywhere in the Denver CO area. Our highly skilled professional locksmiths can make your Honda Civic key for you at any time or wherever you are, at home, work, on the road, or even the grocery store, we provide excellent service to all of our customers! 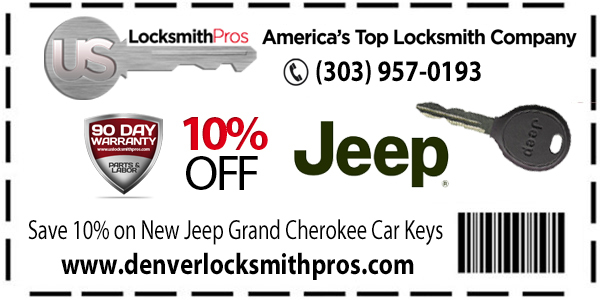 We will save you money and we can have your keys in your car today! We can respond to your call within 30 minutes in Denver Colorado. Save 10% with our Honda civic car key coupon!